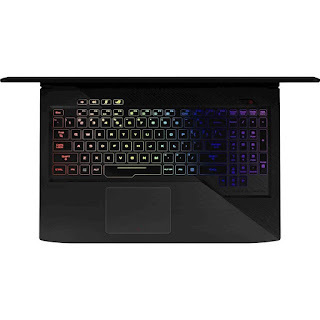 The ASUS ROG STRIX GL503VDDB71 laptop PC comes with 16 GB system memory for intense multitasking and gaming; 2-in-1 hybrid hard drive provides both size and speed - incorporates a medium-capacity 1TB hard drive at 5400 rpm for serviceable storage, with 8GB of NAND Flash memory to speed up start times and accelerate frequently accessed data; built-in media reader for simple photo transfer that supports SD and MultiMediaCard memory card formats; backlit keyboard for easy typing in dim or dark locations; HD webcam with microphone; Aura RGB illumination technology that allow users to create customized and zoned illumination schemes; N-key rollover and anti-ghosting technologies to ensure that inputs are tracked precisely, no matter how many keys are pressed at once; Smart amplifier technology that delivers louder in-game audio up to 200% higher volume and minimizes distortion to ensure smooth operation; and 4-cell Lithium-ion battery to be able to use this laptop whenever you are away from the main source of electricity. It comes in ROG Metallic Black color for stylish look. This laptop PC comes equipped with 15.6" Full HD display with 1920 x 1080 resolution. The resolution of this laptop is very high compared to other laptops, it is expected that the display of this laptop is sharp and clear compared to laptops with lower screen resolution. It also features Energy-efficient LED backlight. 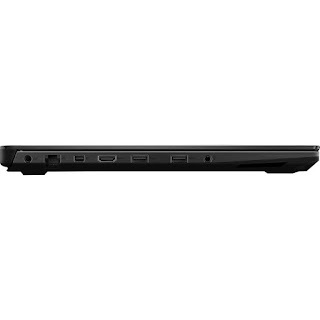 With regards to connectivity, this laptop comes packed with Bluetooth 4.1 interface syncs with compatible devices; 1 USB Type-C port; 3 USB 3.0 ports maximize the latest high-speed devices; 1 USB 2.0 port to connect more accessories and peripherals; HDMI output expands your viewing options; and Next-generation wireless connectivity. 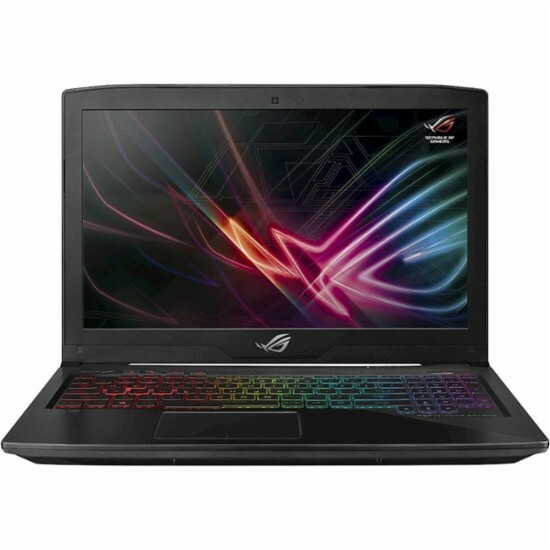 This ASUS ROG STRIX GL503VDDB71 is powered by Windows 10 operating system. This laptop has the following dimensions: 0.9 inches x 15.1 inches x 10.3 inches and weighs about 5.1 pounds. You can get this laptop PC at the price of $1299. 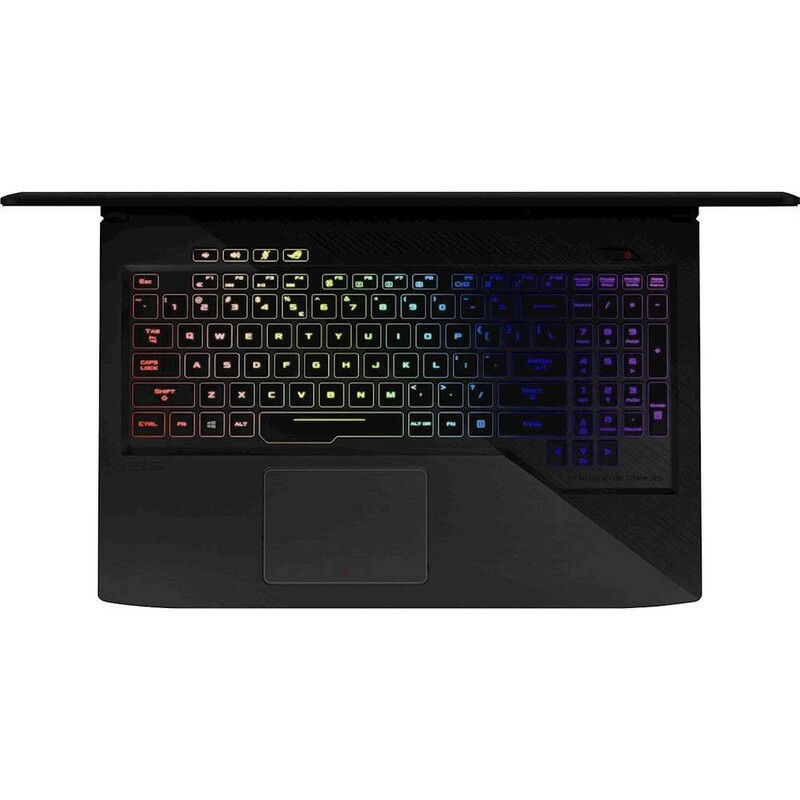 Other laptop in this price range includes ASUSPRO B9440UAXS74; LENOVO THINKPAD T470S 20JS0014US; and ASUS ROG STRIX GL503VDDB74. Do you own this laptop computer. Please let us know your experiences with this device.